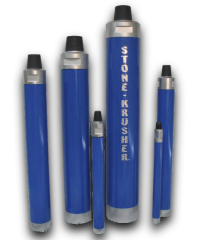 Rock-Tech International offers a complete line of down-the-hole (DTH) tools. Whether you are looking for standard or custom-made DTH tools, Rock-Tech steps up to the task to ensure you get the right tool for the right job. 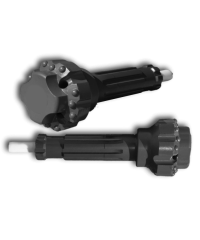 Rock-Tech International will work to procure, develop, and manufacture the latest rock drilling technology available for the 21st Century for our clients. Our simple customer service policy will be "Treat our customers like we would like to be treated." Check out our prices and delivery times for BIG BITS - We won’t be beaten! We will deliver our finest quality product, in our fastest time, at our most competitive price, and we will stand behind our products' quality from your surface hole to T.D. We will create VALUE for our clients. Copyright © 2010 - 2019 Rock-Tech International. All Rights Reserved. 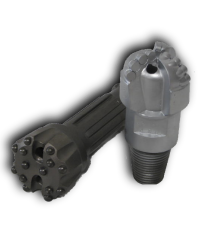 DTH drilling hammers, DTH drilling bits, Down the Hole tools. Serving the Oil & Gas, construction, water well, and mining industries, worldwide.